THE PASSIONATE PRO-LIFER TURNED ABOLITIONIST: "Humanity ~ a Malignancy in the Planetary Ecosystem"
"Humanity ~ a Malignancy in the Planetary Ecosystem"
The Colorado Statesman recently carried an editorial by Boulder's late term abortionist, Warren Hern, promoting his longstanding notion that human beings are a cancer on Mother Earth ~ which conveniently leads to justifying his unseemly avocation. In his own words, "We humans have become a pathological process — a malignancy — in the planetary ecosystem. The human species now displays all the major characteristics of a malignant process." In 2009, Esquire Magazine did a lengthy article featuring Hern, who they claimed was the last late-term abortionist in America. "By the way, he hates the word abortionist. Though it is a simple descriptive term like "podiatrist," the opponents of abortion have turned it into a degrading and demeaning word that has the same negative connotations as the most despicable racial epithet. All the same, it is the right word, an accurate word, and our discomfort with it is but a measure of how poisoned the language of abortion has become." The Esquire interview is remarkably fair and explores a bit of how the innocent child on his mother's lap would "evolve" into one with such a controversial view of humanity. "Late that night, he calls you at your hotel. You're reading one of his many scientific publications, which have titles like Shipibo Polygyny and Patrilocality or Urban Malignancy: Similarity in the Fractal Dimensions of Urban Morphology and Malignant Neoplasms. This one argues that man is a "malignant ecotumor" laying waste the planet. One of the main characteristics of a cancerous growth is that it resists regulation. A cancer cell is a cell that reproduces without limits." For more of his philosophy the entire article is here. 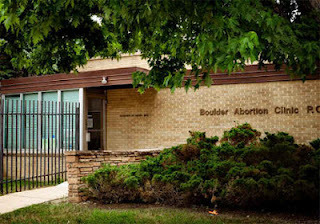 Pro-lifers in beautiful Colorado have long bemoaned our fair state being home to America's lone remaining abortionist willing to kill babies only weeks from being born. Hern's Colorado Statesman article was wearing on me and I felt convicted to reply but with great gratitude, I discovered that Denver Post carried Vince Carroll's response this week. With subtle humor and insight he gives Hern credit where credit is due, "Hern offered this apocalyptic prediction recently in The Colorado Statesman, but he's been banging the drum of gloom regarding population for years — while doing his own small part, of course, to alleviate the extent of the "malignancy." "But let's drop the matter of Hern's vocation so as not to prejudice the discussion. What's fascinating about his almost hysterical anxiety over population growth is how it is refuted by facts on the ground. But Hern is so rooted in a fearful tradition that dates back to Thomas Malthus that he simply can't help himself." continues . . . In another rare moment, "Warren Hern's statement at an Assoc. of Planned Parenthood Physicians meeting in San Diego — Oct. 26, 1978 “Most physicians regard abortion as a stigmatized operation done by people who are otherwise incompetent and can't do anything else ... 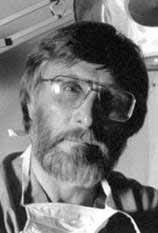 If you're going to do abortions and make that your specialty the best you can hope for is to be tolerated by your colleagues...” — American Medical News, Sept. 5, 1994 Abortionist Warren Hern" ~ as reported by Operation Save America. 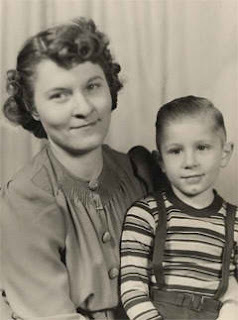 Esquire continues, "The abortionist comes back to the reporter from Wichita. The antiabortion movement is the face of fascism, he says. It cannot be separated from the ruthless and cynical manipulation of antiabortion rhetoric by the Republican party." Sadly, the long years involved in the shedding of innocent blood seem to be taking a toll on Hern's grasp of reality. Just a cursory review of American history would reveal that it was Republicans who championed liberty for the slaves and who, far more than any other party, advocate for liberty to our pre-born citizens. Three of the major Republican presidential candidates have signed the Personhood pledge. That the child in the womb is a person and not the property of the mother, is the constitutional affirming position.